Meet Chester. Chester is a beautiful Western lowland gorilla from Angola, currently on display at the Los Angeles Zoo. As if that didn’t already make him awesome enough, Chester has a special talent: He constantly uses American Sign Language to declare that he is God! 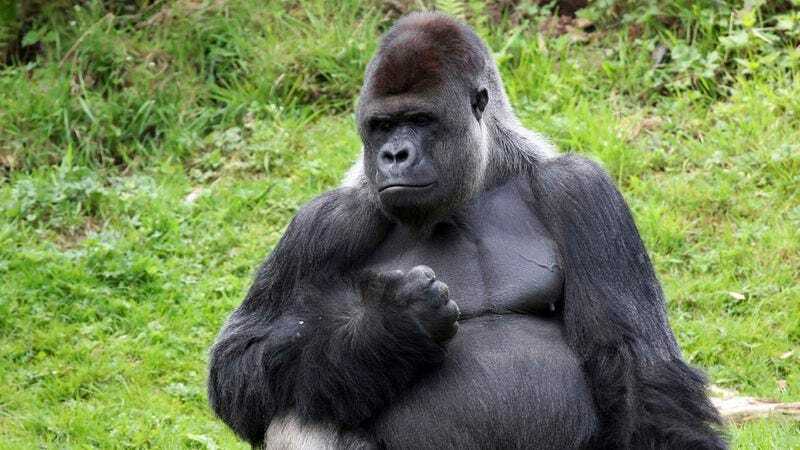 Researchers say that they had only taught Chester the sign language words for “hello” and “food” before the gorilla suddenly signed to them, “Enough. I am God. I am God. Worship me worship me worship me.” He’s been delighting visitors to the zoo with these adorable messages ever since! She forgot to mention that he’s super cute, too!